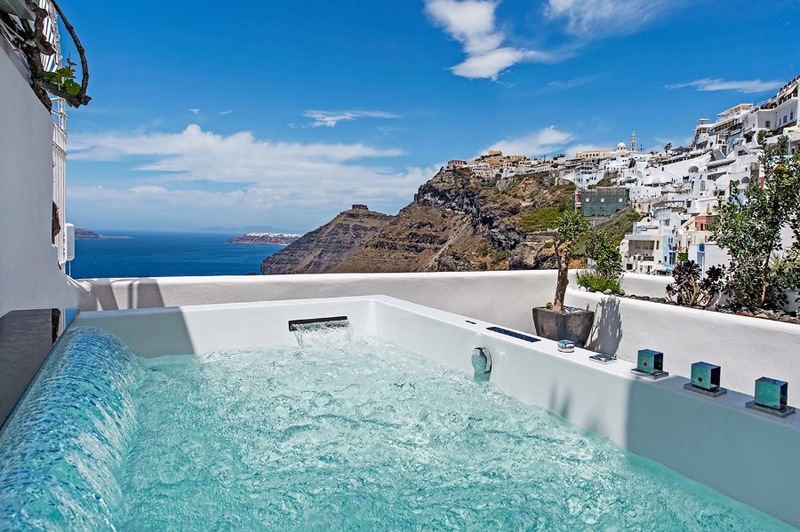 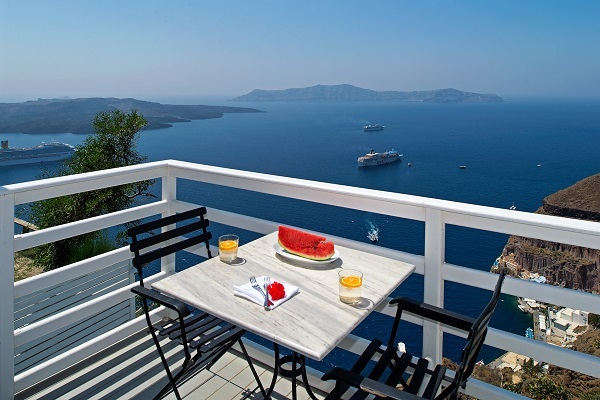 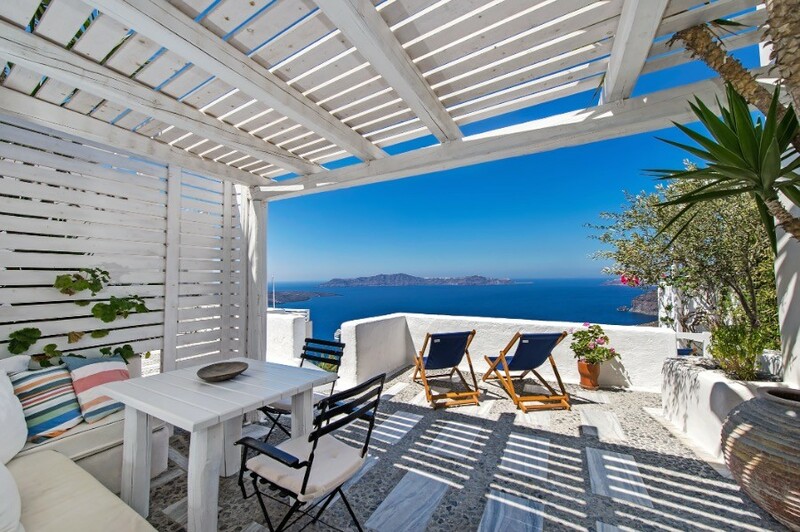 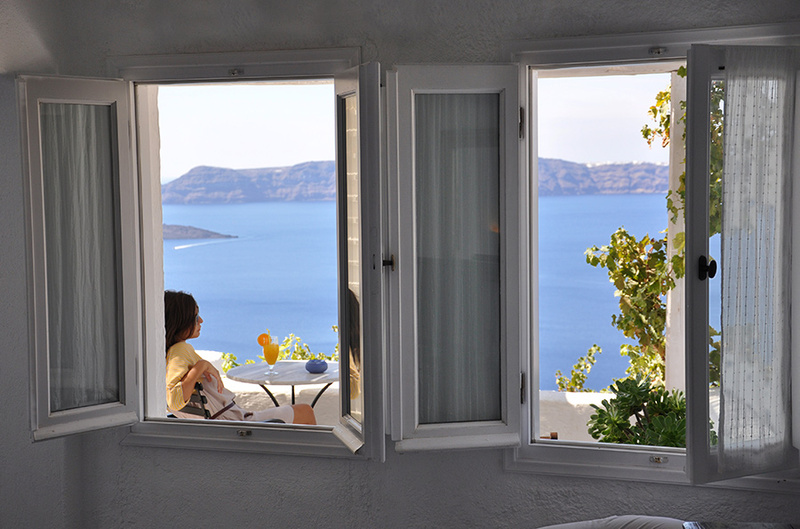 Situated on a privileged location, on Fira�s Caldera cliffs, with magnificent views of the volcano, the deep blue of the sea and the most famous sunset from your private balcony. 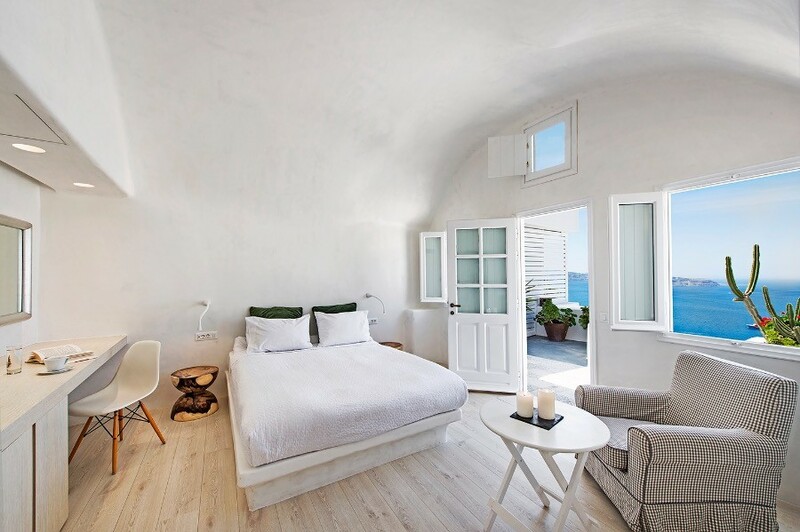 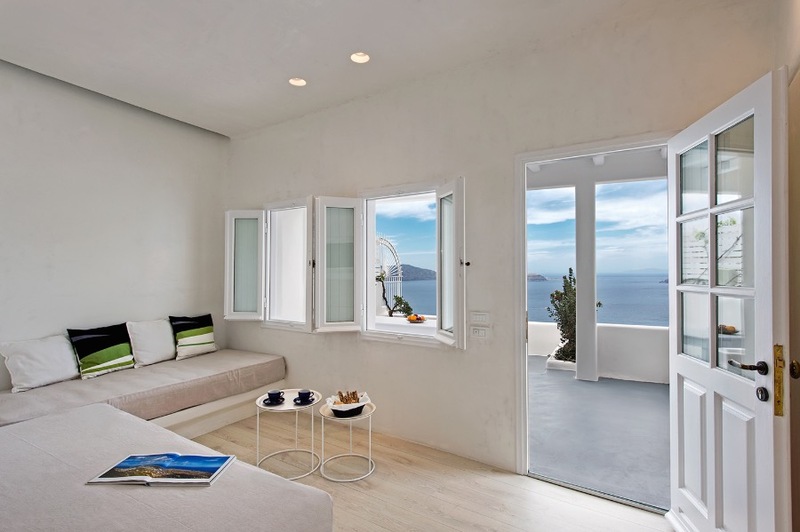 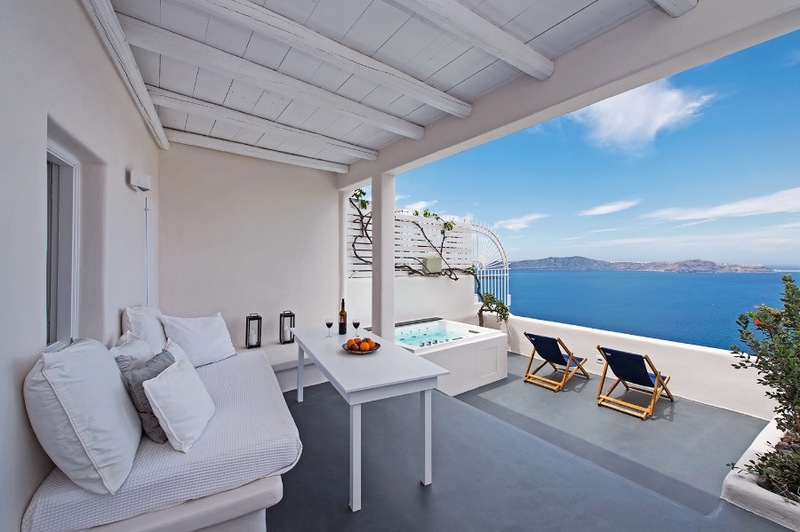 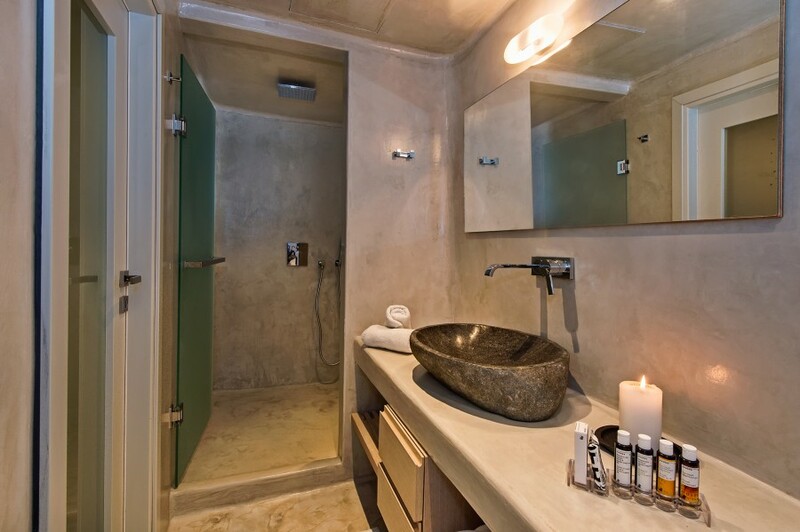 A stylish property newly renovated consisting of 13 suites with a Cycladic style using local materials, stone-built suites with organic forms and smooth curves blended nicely with whitewashed walls combines simplicity with luxury. 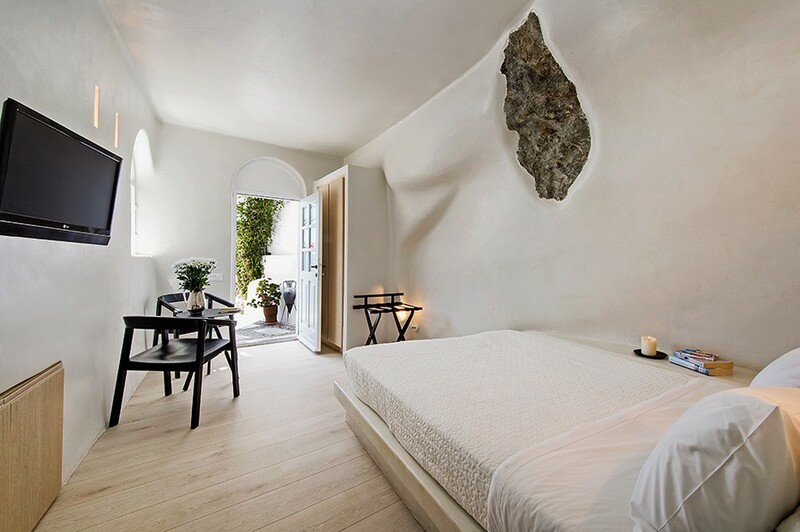 This combination plus the unique décor make the atmosphere really relaxing. 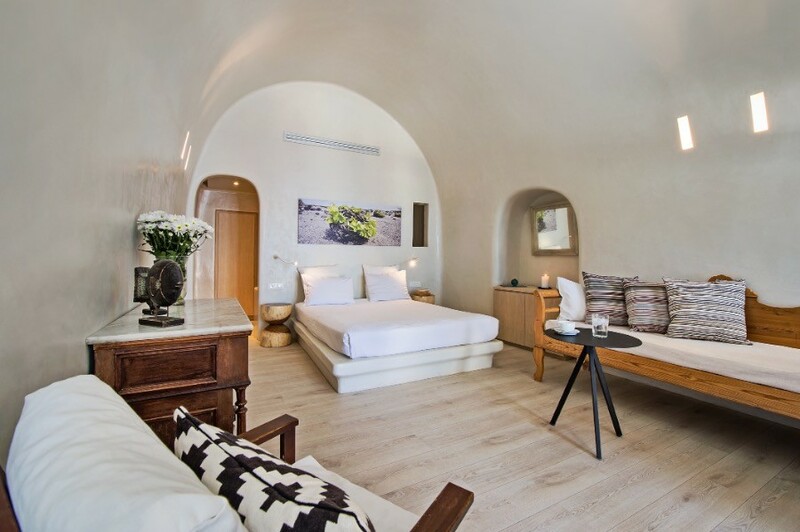 From our Superior Deluxe Suite�s jacuzzi to the private balcony of our Petite Suite cave room, compose the simplicity with the luxury. 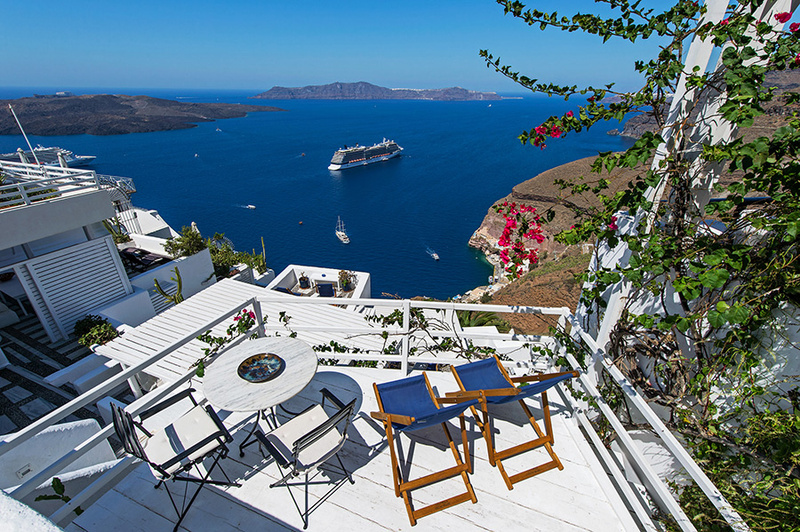 With a panoramic view of the Bay of Fira, the Old Port and the Volcano, Porto Fira Traditional suites are perched on the cliff of the Caldera, in the nicest residential area that allows it to enjoy quiet moments. 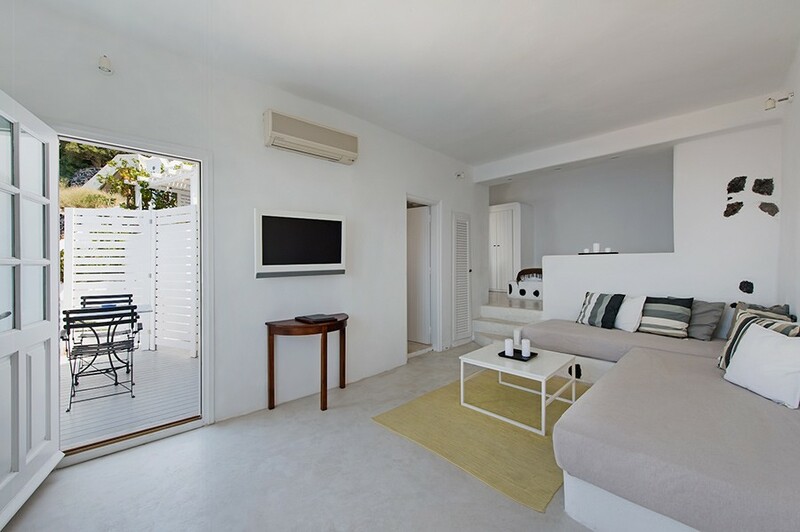 A luxurious yet family-style settlement that makes you feel at home, it is an excellent choice as it combines the proximity to the city, the relaxing location and the undisturbed views of the world-renowned sunset.